Happy Birthday to Me & a Giveaway for You!! I did it! There were some doubts (mostly from the husband) about whether I’d make it or not but I’m here to tell you all that With Just a Bit of Magic is a year old! I started writing last year in May and it’s been a great journey. I’ve had ups and downs. Met the green envy monster. Looked for my voice and what niche I fall into. And now I think I’m there… it’s a great place too. I love my blog, the writing, the social media aspect of it, and meeting new people. I have learned so much and from so many people that there is no way I could possibly repay them for it all. But… I can try! And this week I have 3 great giveaways for you! 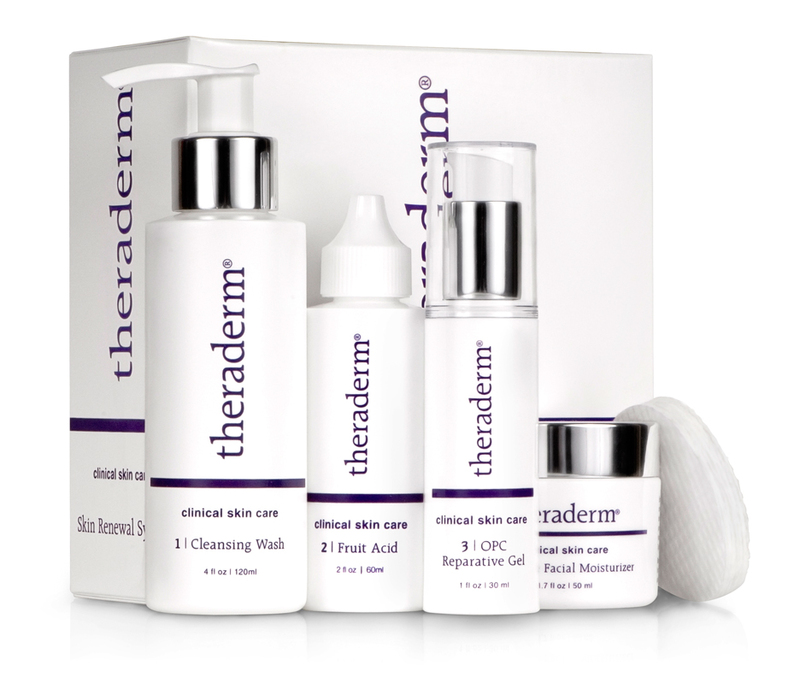 Today’s giveaway is from Therapon and they are giving one lucky reader the Theraderm Skin Renewal System which is valued at over $100! I first learned about Therapon when I went to Gleek Retreat and had a mini facial done. It was great! 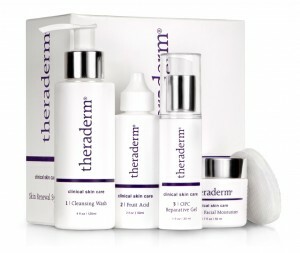 I’ve been using the products since the conferences and have noticed a different in my skin. It’s smother and healthier looking and I think that you’ll like it too. All you have to do to enter is follow me via GFC, email, or RSS ! Sign up for their promos on The Skinny, their social site. Make sure that leave a comment for each entry! A winner will be selected via random.org on June 15th and they have 24 hours to respond before another winner is selected. And don’t forget to come back tomorrow and Friday for another great giveaway!